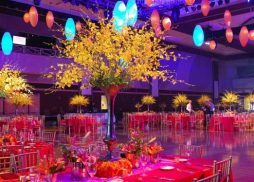 Clients trust event planner so they do not hesitate to pour handsome amount of money on them (event planners) for organizing successful event. They expect that the event should have positive impact on their customers, staffs, shareholders and many others. If its private event such as birthdays or weddings, then they want to enjoy some good time with their family. Every event has its own purpose and goals. Events can be dogged by cost overruns and scheduling conflicts so, it is a responsibility of an efficient event planner to avoid these mistakes and make an event successful for the concerned company. Time is vital while setting up for the event. Prepare things before the arrival of guests. Have experienced staffs who can work fast and get the things done at right time which means before the scheduled event time. This will allow you plenty of time helping you to recheck everything before the start of the event. The number of guest attending event determines the size of event space, quantity of food and beverages too. People expect comfortable venue—not crowded and not empty spaces. Calculate numbers of guests beforehand and select the venue and catering accordingly. This mistake can completely destroy the event. So before deciding venue location, be sure to have a checklist for choosing your event venue. Other things to consider while choosing your location are access to highways, traffic patterns, rush hour, parking locations and fees. We are always in use of technologies in one way or another. And an event without technology can sound too boring or lacks networking. You can make your event tech friendly by utilizing event apps and brand marketing. Events are not one time activity. Guests are repeated with subsequent events. Attending event with same background and theme is boring for such guests. Hence, the planner has to make changes with the theme of event and background considering its (event’s) goal. According to Murphy’s law, “Anything will go wrong that can go wrong.” Surprises can happen at last minute leading the event to chaotic situations. So it is always wise to have backup plan as a safe bet. Perform risk assessment early in the planning process. Figure out possible risks and think solution about it earlier. What if your slide presentation goes wrong? What is alternative for this? Consider it! There is no such thing as mistake free event but you can minimize as much mistakes as possible. Always have backup plan. Do risk assessments and prepare a plan for possible solutions. Act coolly keeping event’s objective at the center.